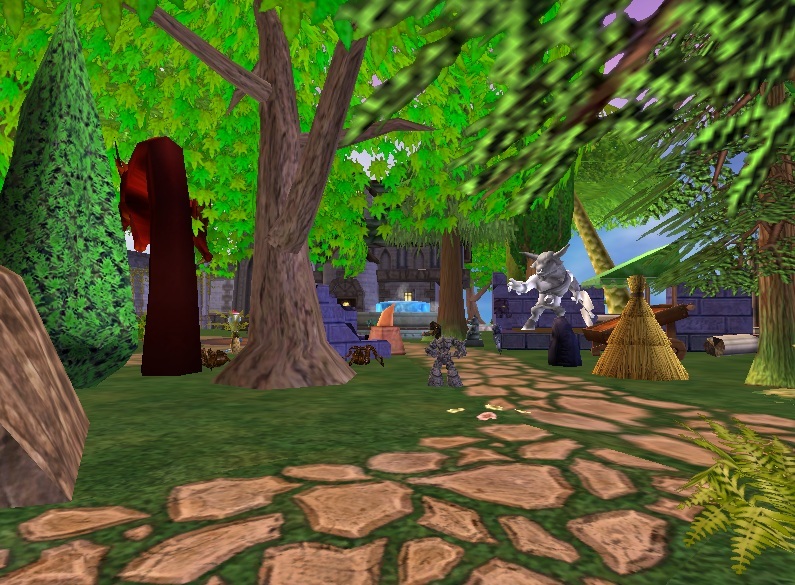 Seth ShadowCloud's wizard101 house has been transformed into a forest mansion. 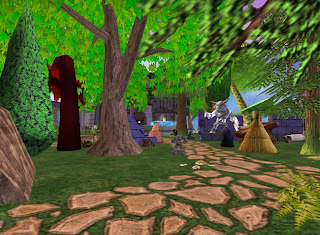 Well placed trees and statues give his house a unique feel, from a throne room to a class room his house seems to be returning back to the forest that once was the only thing there. Seth has rooms decorated for the living areas and a class room just waiting for all Wizards to learn magic from all the different schools. His offices are set in different areas of the house. Mummies and shrines even a area for resting under a tree are placed within this house. Tip: For trees, most trees can be placed inside without any type of floating required, as in what Seth did for his forest mansion. Thank you so much Seth for letting em view your wonderful forest. Until next time, happy house decorating. I'm glad you liked it paige. You may not know this, but this is actually the first house I ever got in the game, and I can't get rid of it as it holds a special place in my heart. Also thanks for putting up with the little spider infestation I have outside; I've tried trapping them but they keeping getting out and running amok (my extermination crew sure likes to take their sweet time with getting rid of them, that's for sure). Also for those seeing the chalkboard, yes it is animated, and for the tree house feel, I owe the idea to one of my friends in-game, as it was his idea to use the trees to make a tree house (this was also back before I knew how to glitch items). Thanks for taking the time to see my house, I really appreciate it. P.S. If you'd like paige, you can come see how my coven base is coming along (I got the dragon's fjord for it, and its coming along quite well I must say).